It’s hard to forget when chorus pedals first came out, and oh, that sound. Guitar players flocked to them like a drummer looking for a free meal. 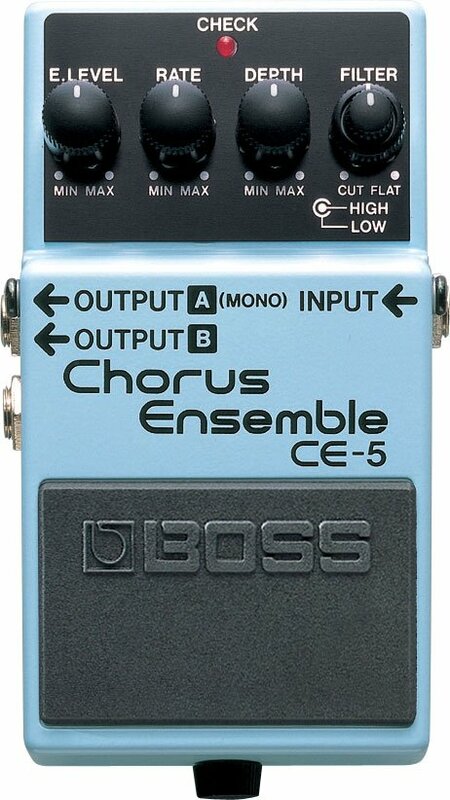 And one of the standouts of way back then was the BOSS CE-2, a simple unit with just Rate and Depth controls, but despite the simplicity, it was that lush, swirling sound that hooked everyone. Fast forward 30 plus years, and what you see is the CE-5 Chorus Ensemble in front of you. This model has Mono and Stereo Outputs, High and Low Filters to really shape your personal sound, simply put, it's a solid, bullet proof stomp box for all your chorus needs.